1. Tourist-must-go course! N Seoul Tower and Hello Kitty Island meet together! 4. Create special memories by hanging "love locks" around the terrace! 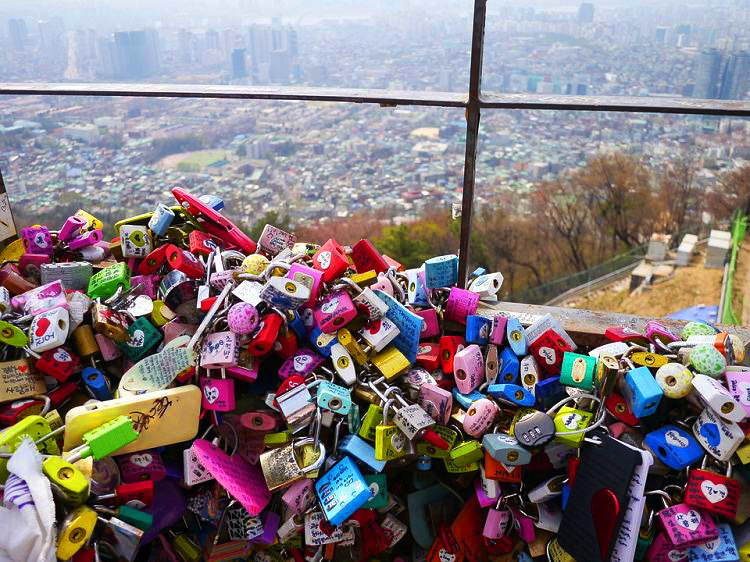 N Seoul Tower, a complex culture space in Seoul, is where the clouds seem to meet with Namsan Mountain. It shows visitors the harmony of Namsan's nature, the 21st-century state of the art, resting with leisure and various cultures. The place became the symbol of Seoul, being the highest tower in Seoul. It was built in 1969 as Korea’s first general radio wave tower delivering television and radio broadcasting in the metropolitan area. The blue light is turned on clear days and red light on bad air conditions, such as air pollution or ultrafine dust. When the red light in on, avoid going out and stay indoors. Try not to come out from home. Do not forget to wear a mask if necessary. Keep your health with the lights of N Seoul Tower. 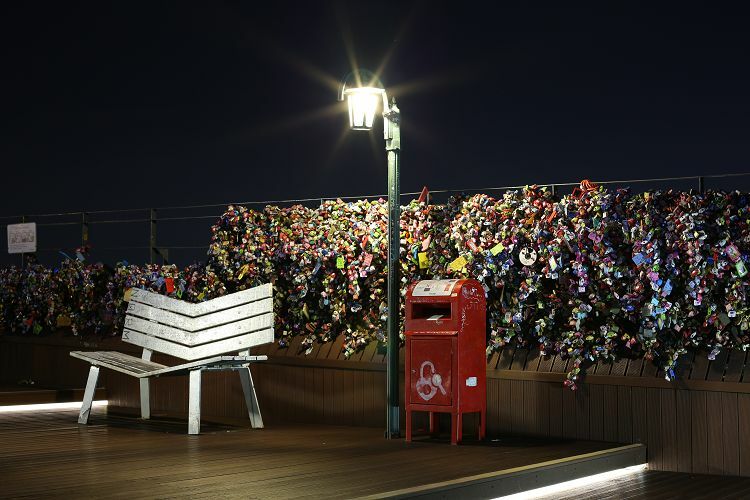 • Try hanging the "love locks" that come out in Korean Drama! • Take beautiful pictures and leave a romantic memory at various photo spots. 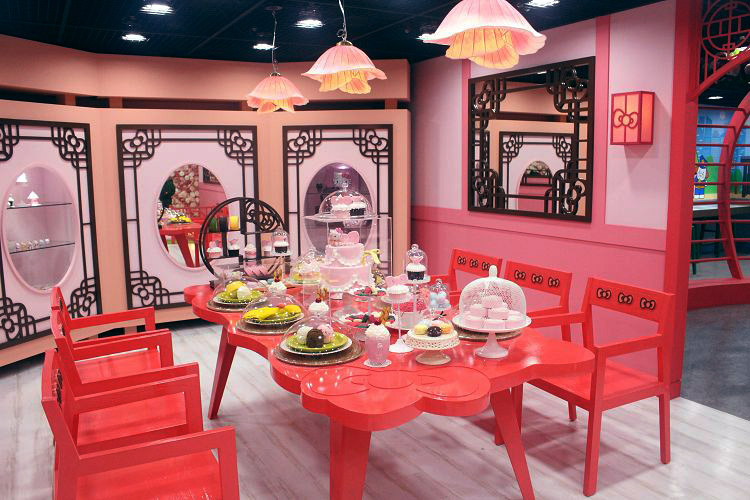 Hello Kitty Island is designed to present various programs to give children unforgettable memories and creativity and give adults hopes, dreams, and love. We wish you to make special memories, dream hopes and dreams with Hello Kitty Island, where filled with cute, lovely Hello Kitties! 1. Purchase the desired product and check your PIN number in mobile or email voucher. 2. Exchange the pass to the tickets at the ticket machine next to the ticket counter on the fifth floor of N Seoul Tower PLAZA. - Get off of Exit 3 of Myeong-dong Station (Subway line 4) and walk through the alley and stay to your right, passing the 7-Eleven (convenience store), and continue about 7-8 minutes between the Pacific Hotel and the GS25 (convenience store). Namsan Cable Car is at the top of the hill near the Chinese Consulate. - Go straight from Exit 4 of Myeong-dong Station (Subway line 4) to Hoehyeon intersection (towards Shinsegae Department Store), then turn left at the intersection. Walk about 5 minutes to reach the Namsan Cable Car Ohreumi/Incline Elevator. 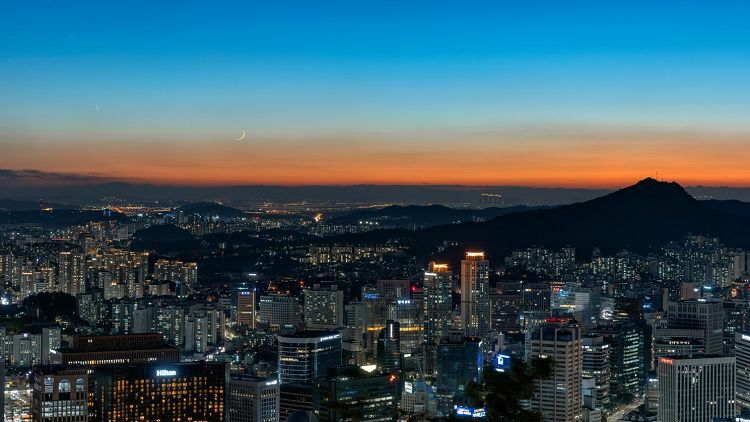 - Arrive at the cable car station by Namsan Oreumi escalator, then go to N Seoul Tower at once by Namsan cable car. - Get out from Exit 6 of Dongguk University Station (Subway line 3), go behind the exit 6, walk to Jangchung gymnasium, take a right of Jangchungdong Park and go straight. 1. Business hours may vary depending on weather conditions and operating schedule. 2. The business hours of N Gift Shop and THE BA:NG are the same as the observatory. - After purchase, refund is not possible.